Since December 2015, Global Water Partnership in Central and Eastern Europe develops a project proposal that aims to shift existing water paradigm by an innovative wastewater management in the rural areas. 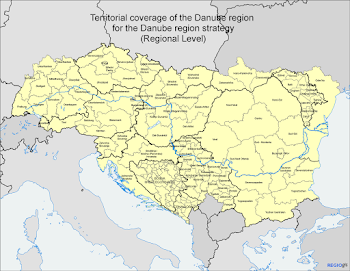 65 % of the total population in the Danube region is not connected to wastewater treatment plants; moreover, the quality and efficiency of wastewater services varies widely within the region, and is mostly below international good practices (World Bank, 2015). There are plans that numerous small villages and towns will be equipped with wastewater treatment plants in the next future. The selection of treatment technologies is of utmost importance, because of the major effect on water quality and nutrient management. This is of special importance in rural areas where wastewater management can be integrated with water and nutrients needs in agriculture thus enabling sustainable solutions for both. The awareness on the importance of wastewater treatment and its direct connection with drinking water quality and other dimensions of water security is low. Moreover, there is a lack of sufficient knowledge on sanitation planning, sustainable sanitation and technologies for wastewater treatment and reuse, as well as the needed public participation, especially community engagement, to achieve the sustainability of the system. Researches have shown that there are interesting opportunities to create sustainable wastewater treatment systems, which can enable water and nutrient reuse, energy recovery and saving water resources on a local level. Sustainable wastewater treatment systems thus allow closing material flows and have beneficial effects on the water cycle. Innovative decentralized infrastructure systems based on environmentally sound technologies have considerable advantages compared to conventional centralized systems and therefore are essential for sustainable development.